Profiles of the Victorian karate instructors of the World Shotokan Karate-do Federation. 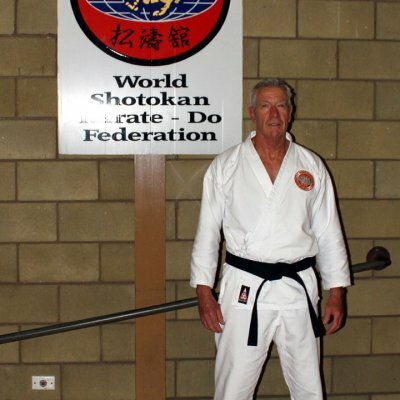 Sensei John McIntosh began his martial arts training in 1968. The first 2 years he studied judo but due to a relocation, found himself training in a French based style of karate and was actually trained by a French Foreign Legionnaire. Training in this martial art fascinated him because of it’s inherent philosophy and rigorous combative training and discipline. Sensei McIntosh taught karate for many years and has trained with Sensei Howard Mutton and was graded by Sensei Hitoshi Kasuya. Sensei McIntosh competed in all-styles competition until the age of 59 when a serious motor cycle accident curtailed his karate activities for almost a year. 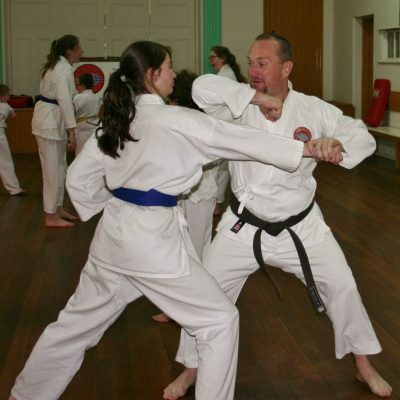 Having taught as a guest instructor at a number of jiu-jitsu, aikido and goju ryu seminars, Sensei McIntosh has always been proud of his connection with Shotokan Karate and enjoys the style and budo philosophy that is inherent in the World Shotokan Karate-do Federation style of karate. 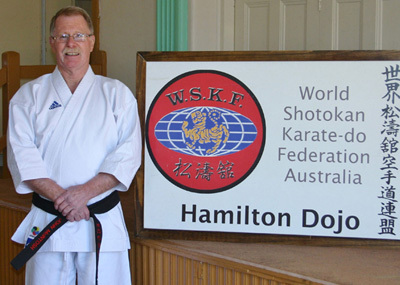 Sensei McIntosh is the lead instructor at the Hamilton, Victoria dojo and now at close to 70 years of age he believes Karate has become part of his life. Sensei Steph started her Karate training at the age of nine at a junior class in Hamilton Victoria instructed by Sensei John McIntosh. She showed great enthusiasm and became part of the senior club where she was graded to 1st Kyu by Sensei Howard Mutton, and then to Shodan (1st DanBlack Belt) two years later by Sensei Steve Hol. 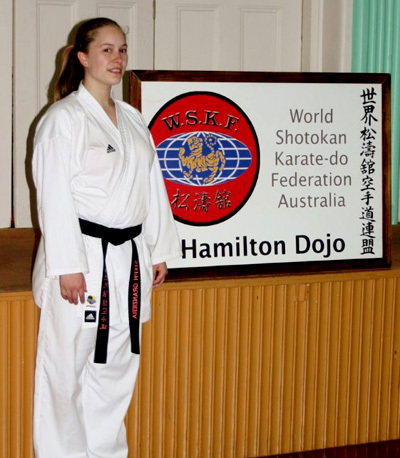 Steph has studied karate for over eleven years and has competed very successfully in all-style tournaments for several years and now enjoys instructing a junior class at the WSKF Hamilton dojo. She is also supplementing her karate training with the study of ju jitsu under Shodan Steve Jones also from the Hamilton dojo. 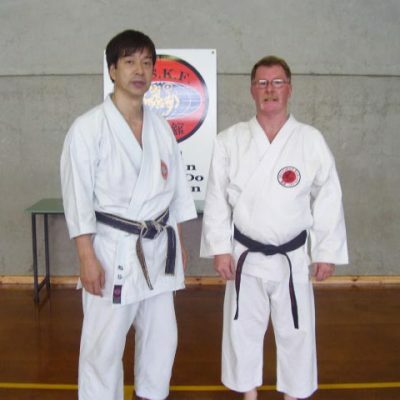 Assistant instructor Steve Jones has been training under Sensei John McIntosh at Hamilton dojo for over 7 years. Steve actually has a strong background in jiu jitsu, a martial art in which he trained for 10 years and in which he holds the rank of 1st Dan Black Belt. Steve has also trained in another karate style but found the style and philosophy of WSKF karate under Sensei McIntosh more to his liking. Currently he is assistant karate instructor at the Hamilton dojo and is ranked 2nd kyu brown belt but he also runs regular ju jitsu training for the members and finds the two arts compliment each other nicely. 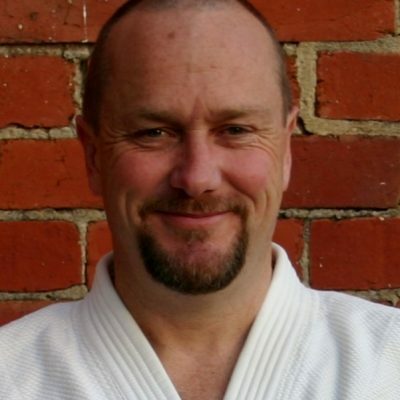 Sensei Robert Campbell has been training with Sensei Stephen Hol for eight years at the Portland karate club in Victoria. With a keen interest in cardio and resistance training, Sensei Robert found karate training a perfect addition to his physical exercise regime. Graded to Shodan (1st Dan Black Belt) in 2014 by Nishimura Sensei 7th Dan of the Japan Karate Association, Sensei Robert assists with teaching at the Portland club and supervises training when Sensei Hol is absent.